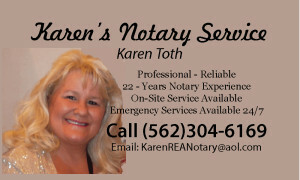 Please know we are here to offer Professional Real Estate services and Mobile Notary services. Please bookmark this site and check back as I learn and grow with helpful information in the near future. Please feel free to leave your comments, thank you. This entry was posted in Notary Public, Real Estate on July 5, 2014 by KSToth.